In 2017 the UNESCO inscribed the “Art of Neapolitan ‘Pizzaiuolo’” on the Representative List of the Intangible Cultural Heritage of Humanity. Since then we are talking more and more about the Neapolitan pizza, but how can we recognize one? 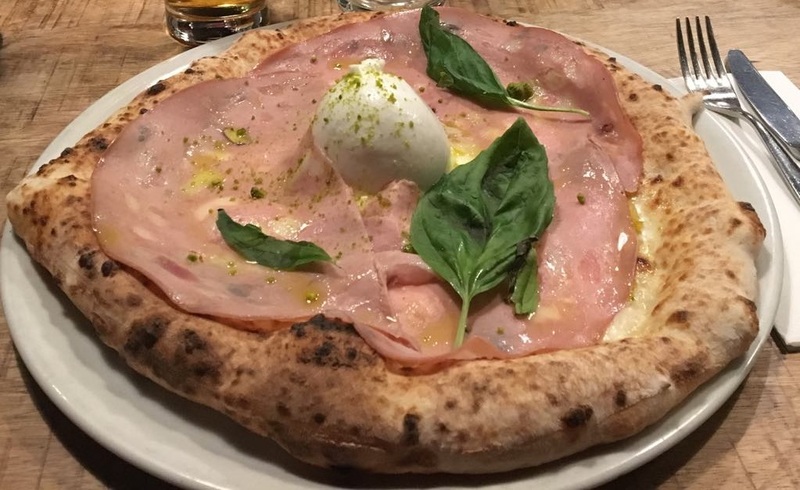 The Associazione Verace Pizza Napoletana, an association established in 1984 which mission is to promote and protect in Italy and worldwide the true Neapolitan pizza, wrote a list of 10 points to explain which are the main features of this special pizza. And who better than them could ever do it? If you want to taste a Neapolitan pizza you don’t need to go to Neaples. In the last years in Berlin a lot of exceptional Neapolitan pizzerias have opened and some of them are taking part in our event True Italian Pizza Week Berlin from April 4th to 10th. So you definitely should not miss the event and follow the Facebook event to be updated! Pizza is am artisanal product, so it could be slightly different from pizzeria to pizzeria. The dough is made with just water, salt, yeast and flour and is left to proof for at least 8 hours. The disk of dough is stretched exclusively by hand. This technique moves the air from the center outwards so that the adge stays puffier and will form the crust with the cooking. The products used have to be preferably from Campania. • The peeled tomato crushed by hand doesn’t have to look too dense but chunky. • In case of fresh tomato, it has to be chopped in slices. • The buffalo mozzarella (chopped in slices) or the fior di latte (chopped into strips) have to be spread uniformly on the pizza. • The grated cheese (if used) has to be spread on the pizza with a circular and uniform movement of the hand. • The fresh basil leaves are just put on the condiments. • The extra virgin olive oil is poured with spiral motion. Besides the Margherita and Marinara other kinds of pizza are allowed as long as they meet the AVPN regulation and the Italian gastronomy. The pizza must be cooked in a wood-firedoven, and not using a baking pan, for 60-90 seconds. The pizza has to be easy to fold (a libretto). The crust hast to be 1-2 cm high, even and puffed up. Its color should be golden and with a very few burns and bubbles. Lifting on side of the pizza, and seeing the part underneath check if it is golden and without strong burns. The pizza should be round, with a diameter no greater than 35 cm, the crust as to be puffed up, while the center has to be max 4 mm thick. The red of the tomato stands out in the middle and blends with the oil and with the green of the oregano and the white of the garlic in the Marinara, and with the white of mozzarella and green of the basil leaves in the Margherita. • a fresh and “grassy” flavor of the basil and oregano. The pizza has an intense and balanced flavor, the aroma of the baked bread blends with the slightly acid flavor of tomato, with the bitter and spicy tastes of oil and garlic. Pizza Margherita:Energy value: about 800 kcal (made with a ball of dough of 250 grams). Pizza Marinara: Energy value: about 550 Kcal (made with a ball of dough of 250 grams).